Double the fun for your smaller dog with these adorable mini booda squatters. 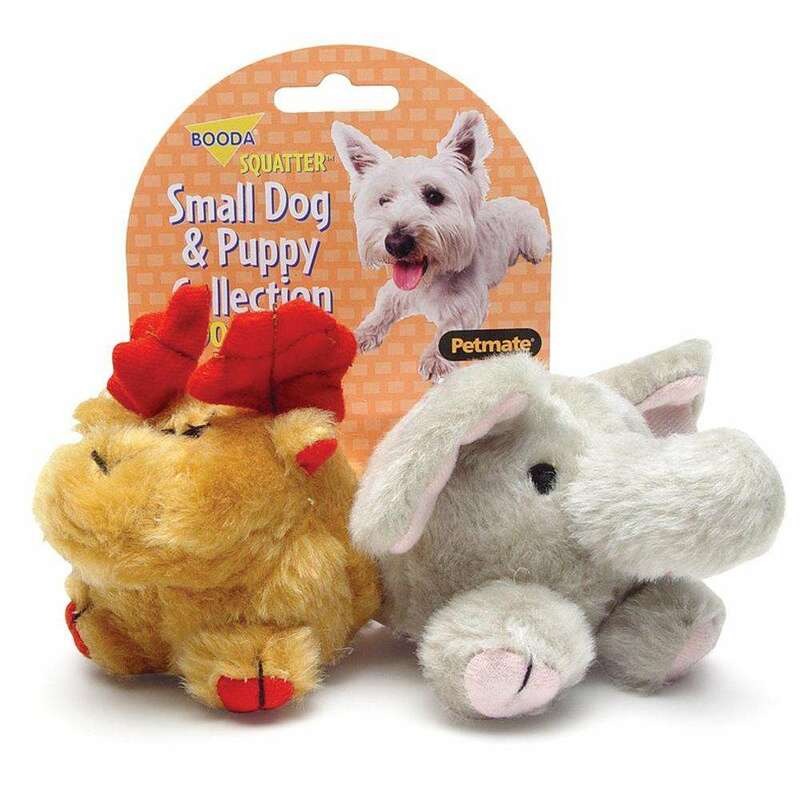 Play a continuous game of fetch with these two squeaky plush toys, or watch your dog delightfully go back and forth squeaking each one in excitement! A perfect size for smaller dogs and puppies, these squatters measure 3 inches high (not including antlers!) and 2 inches wide (not including ears! ).